HEVC (High Efficiency Video Encoding) greatly improves the efficiency of intra-prediction in video compression. However, such gains are achieved with an encoder of significantly increased computational complexity. 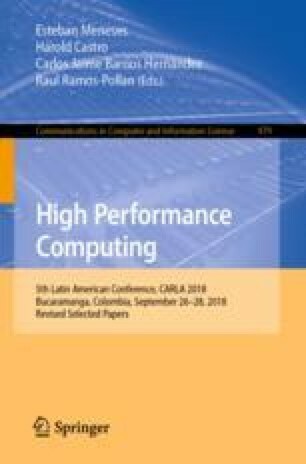 In this paper we present a Graphic Processing Unit (GPU) implementation of our modified intra-prediction algorithm: Mean Directional Variance in Sliding Window (MDV-SW). MDV-SW detects the texture orientation of a block of input pixels, and allows easy parallelization of intra-prediction; by doubling the detectable number of texture orientations and eliminating the data dependency generated by using pixels from the original image as reference samples instead of the reconstructed pixels. Once this dependency was removed we were able to calculate all intra-prediction blocks in a frame in parallel by hardware accelerators, specifically the GPU. Results show that the GPU implementation speeds up the execution by 10x compared to sequential implementation.